RRP £14.99 Our Price £13.49! save 10%! Questioning is key to effective teaching and learning, yet practical questioning strategies that are immediately useable in the classroom can be hard to come by. 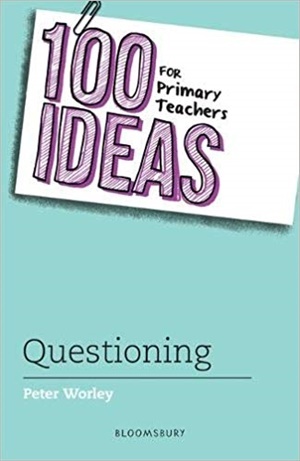 100 Ideas for Primary Teachers: Questioning presents practical strategies, games and activities not only to help teachers improve their own questioning in the classroom, but also to allow pupils to develop an understanding of how they too can ask effective questions to develop their learning. Using philosophical approaches including ownership, authenticity, balance and Socratic principles, Peter Worley, founder of The Philosophy Foundation, provides guidance and ideas on how questioning can help pupils reach the next step and activate their own thinking. He also encourages teachers to reflect on their own practice and the effect of questioning on children's progress. The ideas in this book are applicable to all subjects in a primary teacher's curriculum and are ideal for establishing good questioning strategies and an understanding of this core element of teaching.